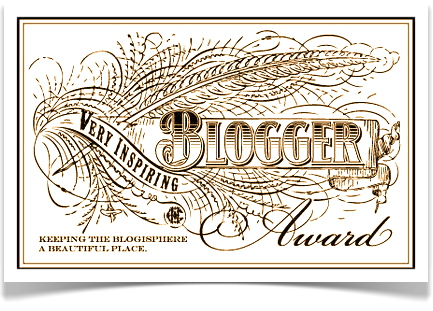 I've been nominated for the Very Inspiring Blogger Award by Petra at Pieternella. Her blog is new just like mine, so everyone should check her out! - I love Musicals, and enjoy annoying my housemates and neighbours singing along to the songs as loud as I can. - I have one tattoo. - I eat reasonably healthy and love salads, but I also love chocolate and biscuits, and could easily finish a packet in one sitting! - I spent my gap year working full time to fund my 3 month trip along the east coast of Australia. - My favourite colour is green, and I often have to change my outfits because Im wearing too much green. Jumper, coat and bag all in different shades of green is probably too much. - I always have a pile of books to be read, yet I constantly buy more. - I want to travel the world. I think these Awards can be a great way to find new bloggers, so I'll nominate selection of bloggers I think you should check out. I'm a Damn Student, What do I know? Hope everyone has checks these blogs out, and also hope you have a great day.